On the trail, they call him Stormcrow, and he became a fan of hammocking in 2008 after a rim-to-rim-to-rim hike of the Grand Canyon. 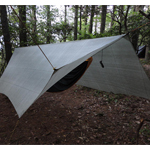 Stormcrow started researching a better way to pack gear, and discovered hammockforums.net. 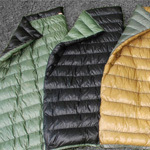 Stormcrow developed a passion for backpacking and for making custom outdoor gear. Stormcrow specialize’s in custom work, primarily down quilts. Stormcrow’s wife, Thorwren makes up the team at the HammockGear.com workshop. They are committed to helping you discover the fit you need for the best comfort and warmth. 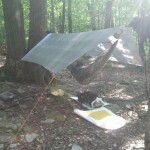 Hammock Gear is your Hammock Camping Specialists! 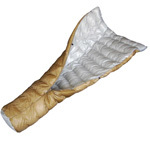 We specialize in custom made hammock insulation manufactured with the highest quality materials available today. 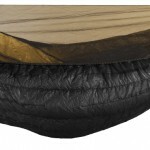 Our revolutionary, anatomically contoured “under quilt” design is keeping thousands of hammock campers comfortably above ground from Austin to Australia and everywhere in between! 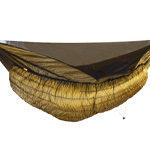 Our commitment to offering innovative, high quality hammock camping accessories, along with a standard of customer service that is rare these days is what sets us apart in this competitive, global economy. We proudly make all of our gear right here in Central Ohio, USA. click on any product below to place an order or view more details. The Burrow works for both hammockers and ground-dwellers alike. 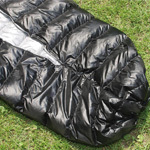 The Burrow is a lightweight sleeping bag quilt that takes the insulation of a traditional sleeping bag and puts it all on the top and sides, leaving the back (which insulation is compressed and unusable anyway) open. 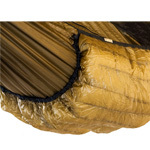 Many hammockers use top quilts in lieu of a traditional sleeping bag because they are easier to slide into when it’s time to sleep.The Burrow is designed with a foot box and a cinched top. Comes complete with a stuff sack and storage bag. 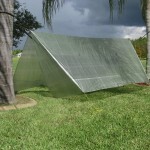 The Incubator has a tapered cut, which not only reduces weight, but provides a more secure wrap around the hammock, eliminating drafts. 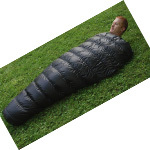 The quilt is designed to mimic the natural position of the body as it lies in the hammock. The Stormcrow original! The Phoenix is the ‘little brother’ of the Incubator, approximately 3/4 length… It’s ideal for people who are size and weight conscious and want to shave those few extra ounces without sacrificing much in warmth or comfort!